Featuring the largest collection of Truth’s photographs ever published, Enduring Truths is the first book to explore how she used her image, the press, the postal service, and copyright laws to support her activism and herself. Darcy Grimaldo Grigsby establishes a range of important contexts for Truth’s portraits, including the strategic role of photography and copyright for an illiterate former slave; the shared politics of Truth’s cartes de visite and federal banknotes, which were both created to fund the Union cause; and the ways that photochemical limitations complicated the portrayal of different skin tones. Insightful and powerful, Enduring Truths shows how Truth made her photographic portrait worth money in order to end slavery—and also became the strategic author of her public self. Runaway slave Sojourner Truth gained fame in the 19th century as an abolitionist, feminist, and orator and earned a living partly by selling photographic carte de visite portraits of herself at lectures and by mail... 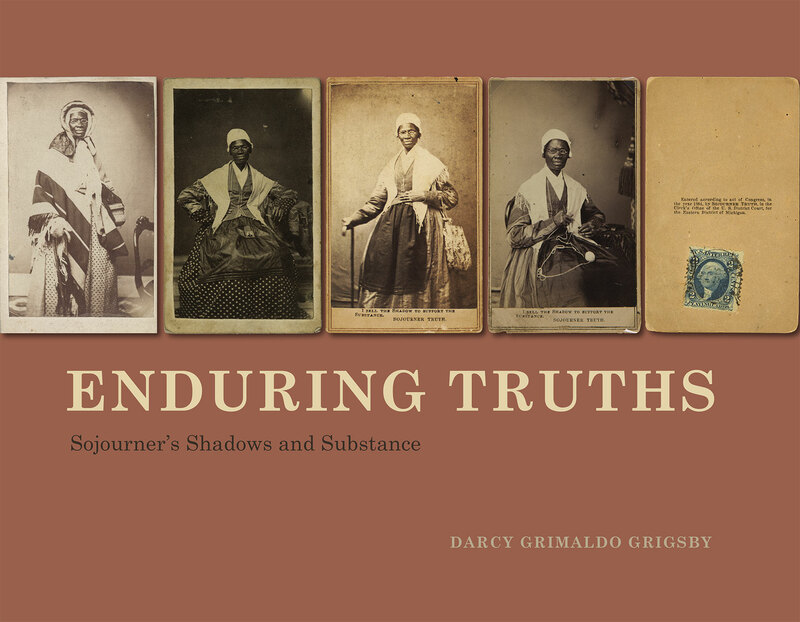 Author Darcy Grimaldo Grigsby shares the contexts for Truth's portraits, including the strategic role of photography and copyright for an illiterate former slave; the shared politics of Truth's cartes de visite and federal banknotes, which were both used to fund the Union cause; and the ways that photochemical limitations complicated the portrayal of different skin tones. "Enduring Truths" shows how Truth made her photographic portrait worth money in order to end slavery--and also became the strategic author of her pubic self.